I’m constantly on the look out for new designs or fabrics to inspire my next project. Since I got married and made my own tartan shawl in the OH’s family tartan, (see photos from our 2015 wedding here and wedding sewing/DIY projects here), I keep thinking about how I can bring in more of Scottish culture and history into my designs. One that I feel personal about is the OH’s family tartan. Unfortunately I learned from making the wedding stole (see here) that the family hunting tartan is not one that is sold commercially so will cost more for this particular tartan to be sourced (the half metre of light woolen tartan fabric cost me about £36 for the stole). Even if I can’t use the OHs’ family tartan, I figured I can still use another tartan for my next dressmaking project. No matter what anyone says, I’m a firm believer that women can never have too many dresses. I think all those who believe in the motto ‘less is more’ when it comes to those with overflowing wardrobes and drawers would look at me in horror for saying this, but it’s true. Everyone appreciates beauty in a different way. Some like fancy sports cars, others like beautiful precious gemstones, artwork or big mansion houses. For me, beauty is in attention to the detail. 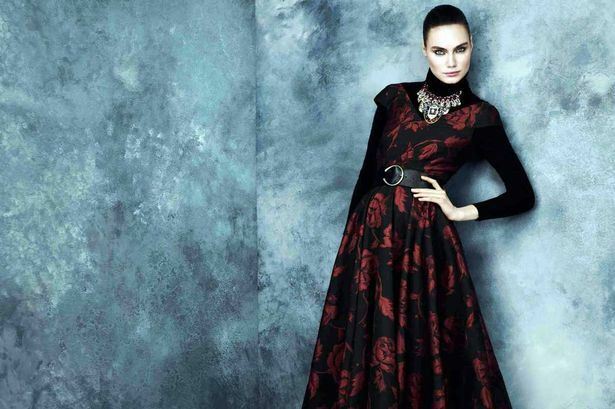 Each dress carries its own unique beauty factor in the detail: this can be in the pleats, the stitching, the design of the dress or the fabric. A recent charity find has brought back the sewing bug in me. After sewing 5 dresses for our wedding last year, I’ve been on a bit of a dressmaking/craft hiatus, but I’m now excited to get back on the bandwagon because of a beautiful fabric I’ve been seeing around a lot: jacquard. Shopping for a wedding reception dress! For the past 2.5 years, I’ve spent most of my efforts (and pennies) on our DIY wedding so I didn’t really think much about shopping for myself. Also having recently made floral pleated tea dress for a friend’s October wedding, I’m trying to find inspiration for a dress for another upcoming wedding and thinking I’d like to buy a dress for a change. Sometimes you just want to sit back and enjoy something that’s been made by someone else and that’s where I’m at after spending the first 10 months of this year sewing 7 dresses. Without further ado, here are my top picks for the upcoming Christmas wedding I’ll be attending. A while back, I had the idea to sew a pleated dress. I felt that the grey tartan fabric was slightly too formal (more work or business appropriate) and I needed a dress to wear for a friend’s wedding over the weekend. 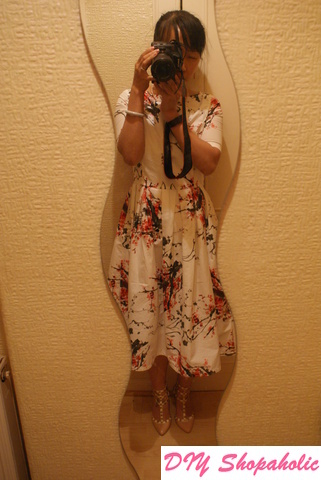 I had bought other fabric on Etsy and decided to start using the Chinese blossom watercolour print cotton I bought especially for this dress. New dressmaking project: pleated tartan skater dress! It’s been a very hectic time at work for the past month or so. 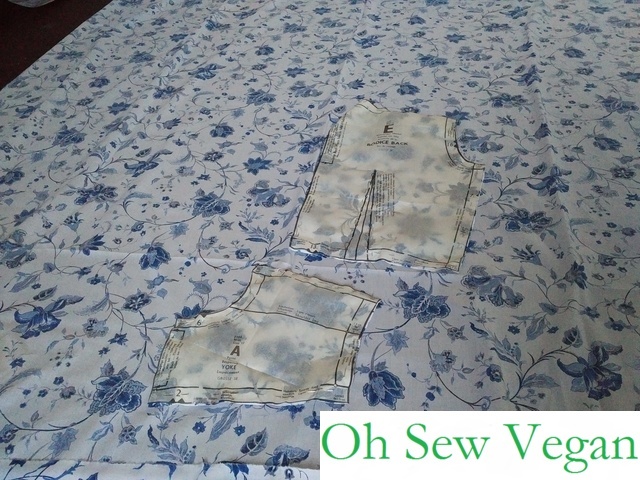 Unfortunately this eats into my spare time which I would normally spend sewing, especially with the looming wedding date coming up in 4 months time. Eek! I’ll post an update soon on progress with the white wedding dress. All that’s left is to sew the finished lining to the inside of the outer dress and that’s another one finished 🙂 3 to go! Browsing on the World Wide Web, I came across blog Merrick’s Art and her lovely outfit (loving the gladiator sandals!). Most importantly, the beautiful dress Merrick was wearing for her tutorial blog post! On Thursday evenings, there’s no doubt about it: it’s my Combat night and I don’t like missing class. When it’s a toss up between a fashion event though or class, it’s a tough call for me. I like window shopping, browsing through racks of beautiful clothes and admiring the unique fabric designs and costume jewellery. 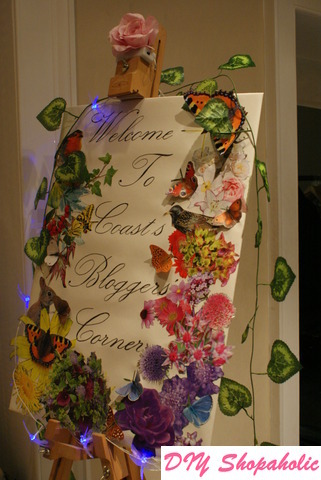 When you get an opportunity to attend an exclusive event with Edinburgh Bloggers and Coast Edinburgh, you can’t turn that down! So I waved a cheery farewell to fellow Combat warriors and told them I’d see them in 2 weeks. After all, Cinderella has a fashion event to attend! Last week, the OH and I decided to meet up with some friends to watch a film in the Edinburgh Film Festival. We had perused the programme quite a few times (believe you me, it’s not an easy task when there are usually about 5 films – or thereabouts – being shown daily between 18th and 29th June at various cinemas in the city) and had decided on a few films, but due to timings and other commitments, we weren’t able to see some of the others we were interested in. We did manage however to see A Practical Guide to a Spectacular Suicide and I thought with the weather being somewhat more summer like, it was a good opportunity to take my summer pink midi skirt out for a spin. It’s been a really mild winter and a slow transition from the cooler temperatures to the warmer air and bright sun that tells you summer is coming. It’s on it’s way though and if you haven’t been to Scotland yet, you’ll appreciate the nicer (and cooler) weather more, no matter how small a change you get with the changing seasons. One of the things I like most about Edinburgh is the colder temperatures, unlike the intense heat and high humidity of living in Hong Kong or South East Asian countries where fans or ACs are a staple in every household, shop as well as shopping centre. Here, it’s central heating that is a staple. I’ve been a bit lax in working on my projects, whether it be jewellery making or dressmaking, since the jewellery making classes finished a couple of weeks ago. I managed to finish my first labradorite ring and do most of the work on the etched sterling silver cuffs my friends asked me to make for them with the filigree lily design. 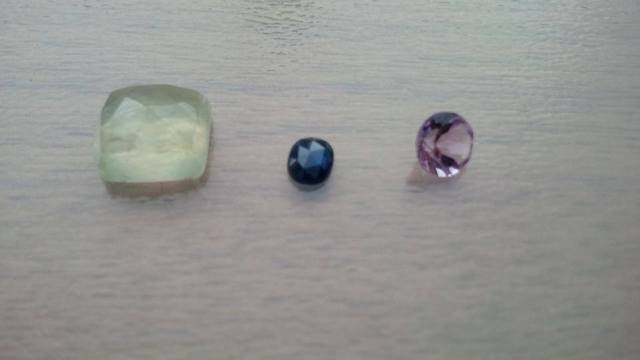 I’ve also got new gemstones that I’m quite excited about setting, some of which I’ve already got plans for.